Some of our favorite Recipes! 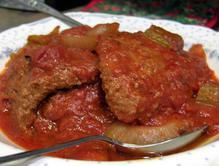 Here's a couple of great recipes to get you started! Like what you see? 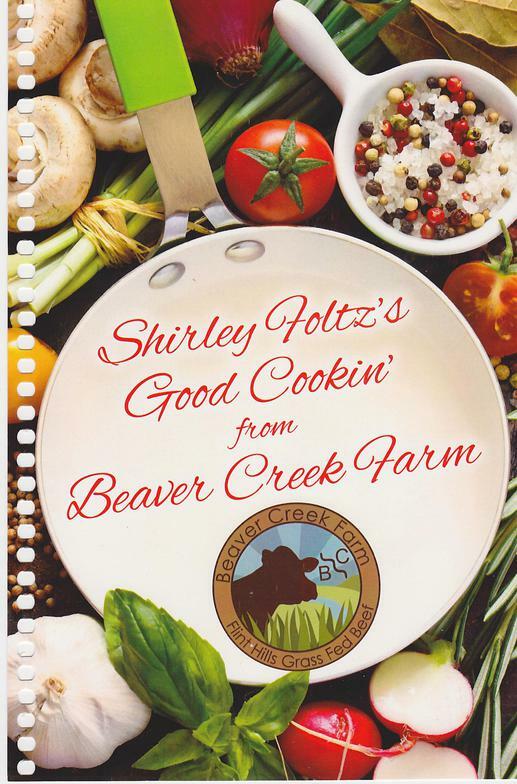 Beaver Creek has a fantastic cook book filled with recipes for all sorts of occasions! Click on the "Request Info" button below and we'll tell you all about the book and how to get your own copy! In a small bowl, combine the cornstarch, brown sugar and seasonings. Stir in water and soy sauce until smooth; set aside. 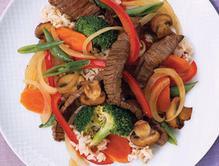 In a large nonstick skillet, stir-fry beef in 1 tablespoon oil until no longer pink. Remove and keep warm. Stir-fry vegetables in remaining oil until crisp-tender. Stir cornstarch mixture and add to the pan. Bring to a boil; cook and stir for 2 minutes or until thickened. Add beef; heat through. Serve with rice. Yield: 6 servings. 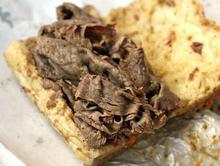 Place roast in a slow cooker or crock pot. Combine the water and seasonings; pour over roast. The water mixture should almost cover the roast; if not, add more water. Cover and cook on low for 8-10 hours. Discard bay leaf. Remove meat and shred with a fork. Serve on rolls. This dish can also be served as sliced roast with a gravy made from the Italian seasoning mixture, boiled potatoes, carrots and green beans. Start the grill and warm it until it is medium hot. If you are using charcoal, be sure all the coals have been raked to one side. (A test for medium heat is to hold your hand 5 inches above the grill and hold for 5 seconds). Sear the steaks for 3 minutes on each side directly over the flame, with the lid down. 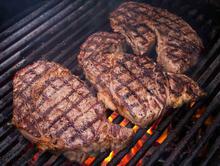 Then, move steaks away from the fire or charcoal so that you are using indirect heat to finish cooking. Baste the steaks with butter. Set the lid in place and allow the steaks to cook, without flipping them, until they reach 120-140 degrees F, about 15-25 minutes, depending on the size of the steak. Remove the steaks to a platter and tent loosely with foil, allowing steaks to rest 5 minutes before serving (the temperature will come up a few more degrees during this time). Note: we usually like to flip the steaks half way through the indirect cooking stage to get more even cooking. Combine the salt, pepper, garlic and thyme in a small bowl. Rub the mixture into both sides of the steak, then allow the meat to come to room temperature (at least 30 minutes) while you prepare the grill.